Heat oven to 375°F. 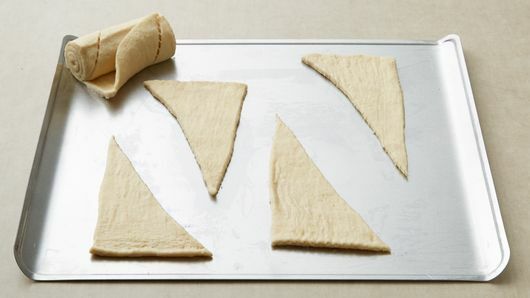 Unroll dough on ungreased cookie sheet; separate into 8 triangles. In small bowl, mix pizza sauce, mozzarella cheese and chopped pepperoni. 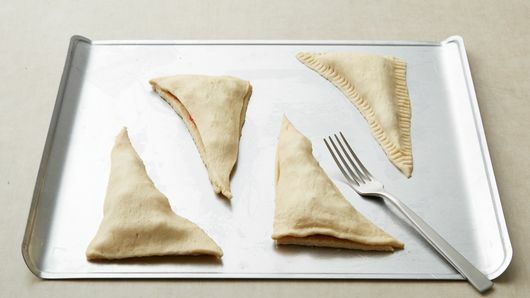 Place about 1/4 cup filling on each of 4 triangles, spreading within 1/2 inch of edge. 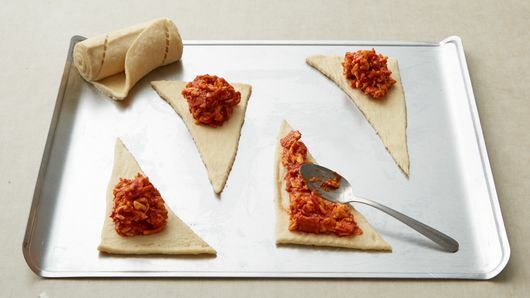 Gently stretch remaining 4 triangles; turn over onto filled triangles, firmly pressing edges with fork to seal. Sprinkle each triangle with 1/4 teaspoon grated Parmesan cheese. With fork, prick top of each to allow steam to escape. Bake 13 to 15 minutes or until deep golden brown. 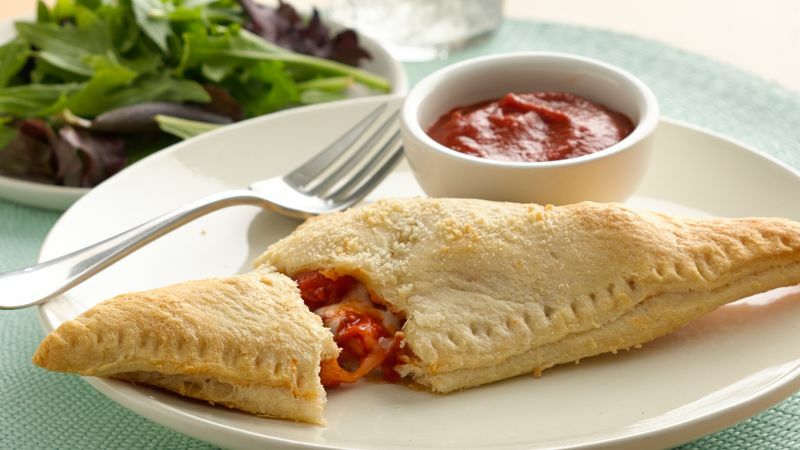 Serve warm with additional pizza sauce on the side. Cooked bacon or sausage are great substitutions for pepperoni. As with any stuffed food, the biggest mistake you can make is overstuffing. Use a light touch with the filling, and be sure to keep it 1/2 inch away from the edges to keep the pockets from bursting at the seams.